Hyperhidrosis is the medical term for excessive sweating. Hyperhidrosis most commonly affects the palms of your hands, the soles of your feet and your armpits. Hyperhidrosis can significantly affect your quality of life and can cause considerable embarrassment or anxiety. If you are considering taking herbal remedies to treat this condition, first meet with your doctor to review procedures, alternative treatments and risks. There are many possible causes of hyperhidrosis. The following factors can cause excessive sweating: certain medications, hot flashes associated with menopause, low blood glucose levels, overactive thyroid gland, leukemia, lymphoma, heart attack and certain types of infectious disease. Some of the most obvious signs of hyperhidrosis include frequent sweating that soaks through clothing and abnormally excessive sweat droplets on your face, armpits or feet. Fungal nail infections, bacterial infections and social anxiety are possible complications associated with this condition. Herbs are a natural treatment method that are often used to help reduce or eliminate excessive and unwanted perspiration. Black cohosh and red clover may be helpful for treating menopausal symptoms, which may include hot flashes and spontaneous sweating. Other herbs that may be helpful for hyperhidrosis, especially night sweats, include schisandra, sage and white peony. Herbs that encourage sweating and should be avoided include elderberry, linden flower, hyssop, peppermint and pleurisy root. Schisandra is a popular herbal remedy for hyperhidrosis. Expert herbalist and naturopathic physician, Dr. Sharol Tilgner, states that schisandra has antibacterial, anti-ulcer, antioxidant and adaptogenic action. Schisandra encourages the production of body fluid and arrests spontaneous perspriation, including night sweats. Schisandra is a calming sedative that reduces caffeine's stimulant effects. Schisandra is a shrub indigenous to East Asia. The berries of the shrub are used in herbal preparations. This herb also helps treat dryness and thirst caused by fever. If you experience constant or frequent excessive sweating, consider visiting your doctor for an examination and evaluation. An underlying condition may be causing your symptoms, and your physician will present you with appropriate treatment options to help resolve your problem. 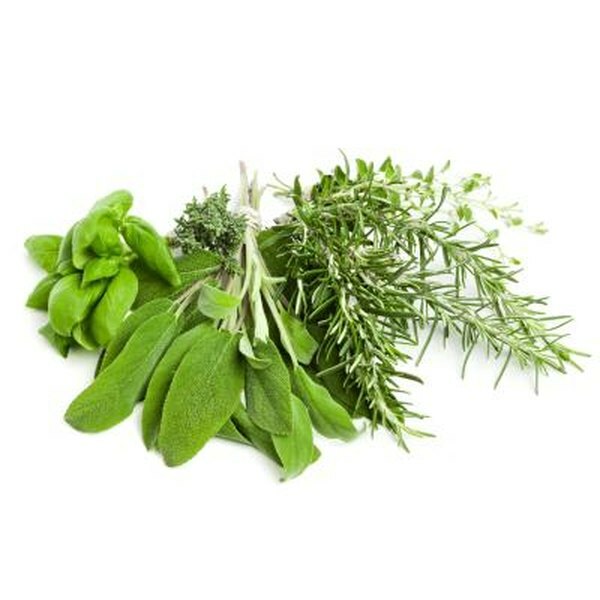 Herbs, though generally considered safe, should be used under the guidance of a qualified health care professional, such as a naturopathic physician or an allopathic physician trained in botanical medicine. If you are pregnant, you should always exercise caution when using herbs.